20 Sunda Pangolins were released on 10 August to a safe and undisclosed location in Vietnam. The critically endangered pangolins were rescued from the wildlife trade and rehabilitated at SVW/CPCP in Cuc Phuong National Park, Ninh Binh Province. 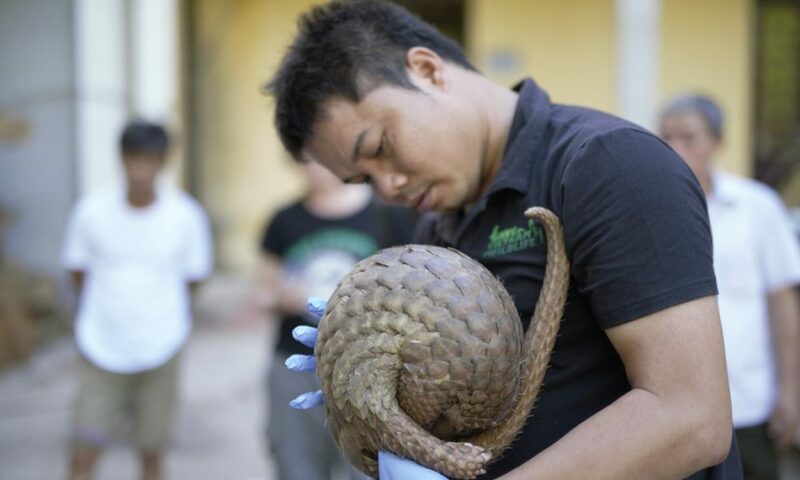 Prior to release the pangolins were given thorough health checks to ensure they had fully recovered from the injuries they received in the illegal wildlife trade and were micro-chipped allowing them to be identified in future. Executive Director of Save Vietnam’s Wildlife, Mr Thai Van Nguyen said “This year we have released 95 Sunda Pangolins confiscated from the wildlife trade back to safe locations in the wild. While this is a good news story, these pangolins represent only a fraction of those pangolins illegally traded each year in Vietnam. We need to do more on enforcement and awareness otherwise these precious mammals may become extinct in our lifetime”. 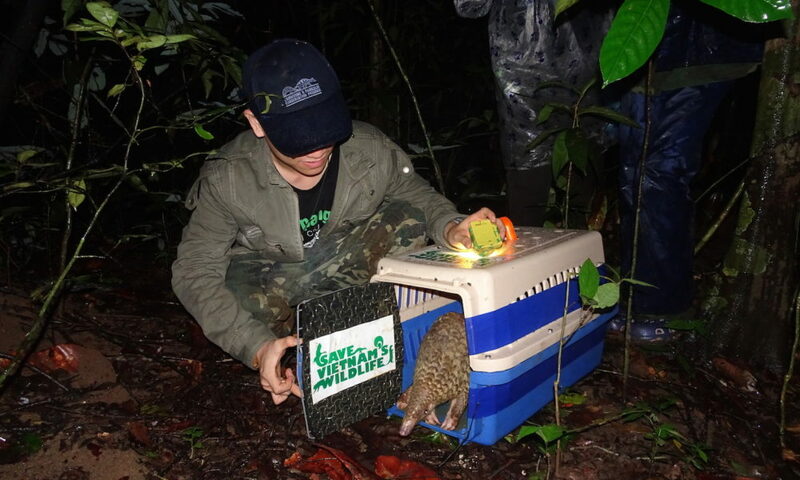 Lan Thi Kim Ho, SVW Education Outreach Manager, who was part of the release team said of the release, “This is the best part of the job, seeing the animals return to the wild, where they should be”. Pangolins are the most traded animals in the world. Vietnam has two species (Sunda Pangolin and Chinese Pangolin) and both species are critically endangered, which means both are in imminent threat of becoming extinct in the wild. This latest release will bring to a total of 95 Sunda Pangolins released by Save Vietnam’s Wildlife in the last 14 months. Save Vietnam’s Wildlife does not disclose the locations of pangolins releases due to the risk of the animals being located and recaptured by poachers. 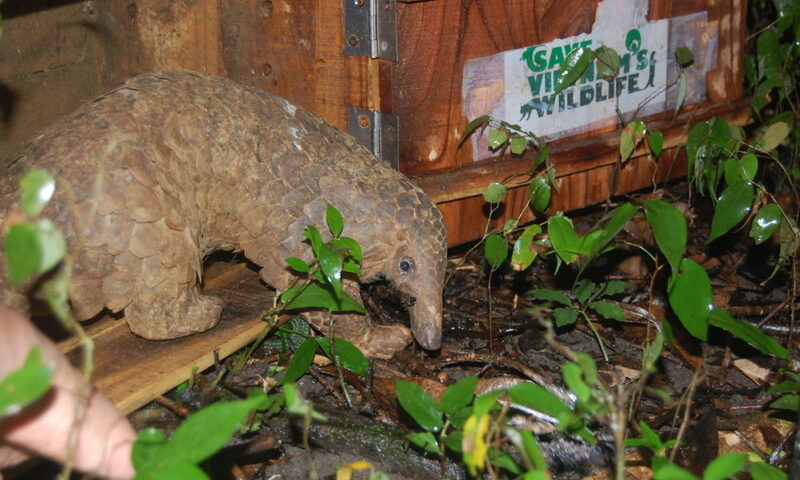 We request that all media do not release ANY information regarding the location of pangolins releases. NOTE: v2 revised 11 August 2016 to correct typographic error in previous version which stated 21 Pangolins were confiscated by FPD Ninh Binh. The correct number is 22.